Know the new Wash&Wax automotive detergent with wax. This product deploys the synthetic polymer technology by Meguiar's and provides deep gloss for the painting. 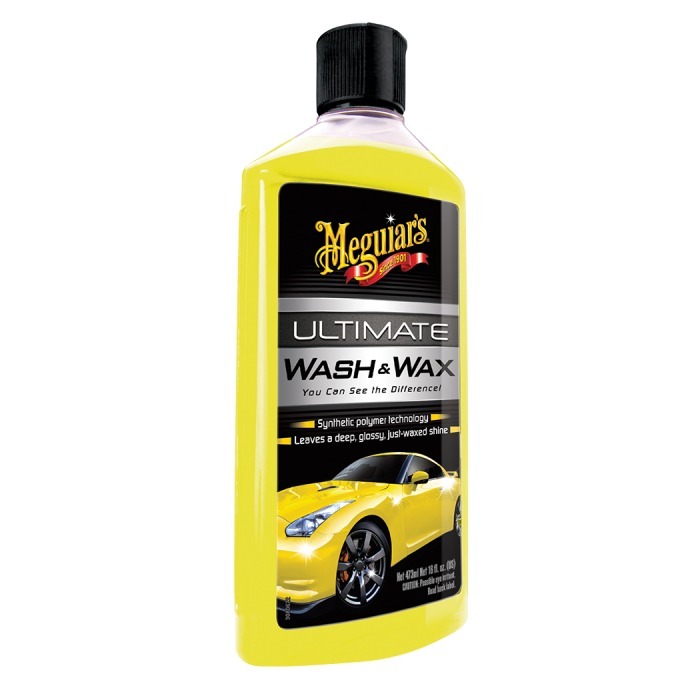 This new release by Meguiar's provides you the hydrophobic protection of the Ultimate line while you wash your car! - Premium wash and protection for your car. - Synthetic polymers and carnauba technology. - Gets the surface shining, with a wet gloss look. - Extends duration of the wax applied to painting. - Suitable for all painting types.